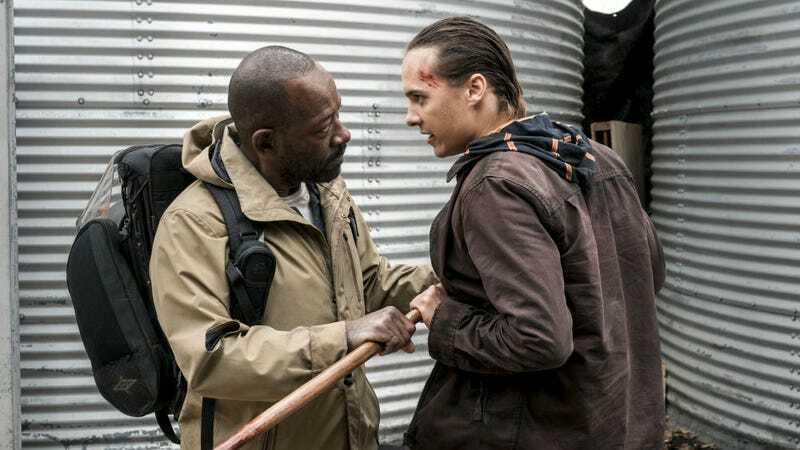 Morgan (Lennie James) meets Nick (Frank Dillane) in Fear the Walking Dead. New showrunners, new stars, new setting, and a new—but highly anticipated—crossover. Frankly, the fourth season of Fear the Walking Dead looks like an entirely new TV series... about zombies. Fear the Walking Dead, led by new showrunners Andrew Chambliss and Ian Goldberg, returns on April 15.